Vi ønsker velkommen tilbake til vår konsertserie på det fine biblioteket på Grünerløkka, og starter høsten med Sheldon Blackmans soulbaserte musikk med røtter til Trinidad. 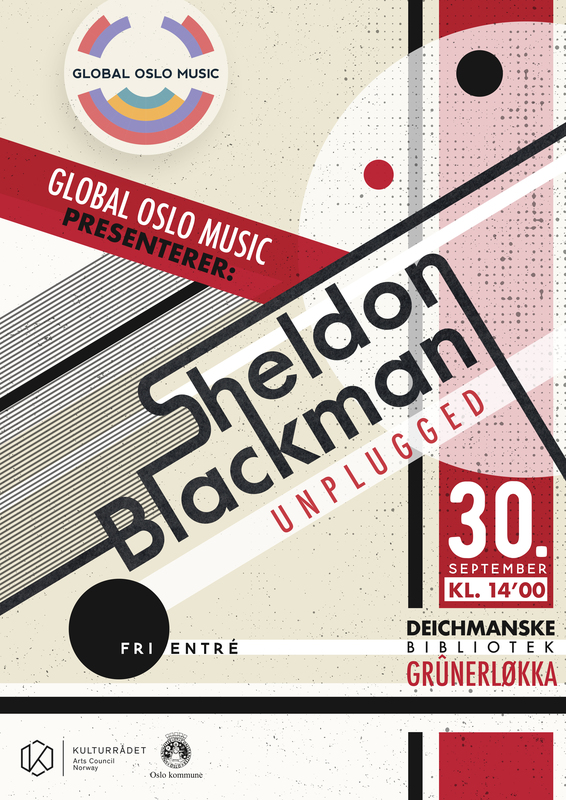 (E) Don’t miss out on Sheldon Blackman’s performance at the old and beautiful library at Grünerløkka. We promise soulful music, deeply rooted in music traditions from Trinidad. SHELDON BLACKMAN ble født inn i den musikalske kongefamilien i Trinidad & Tobago. Hans far, Ras Shorty I, skapte den nasjonale musikalske stilen Soca og grunnla familiebandet The Love Circle. Sheldon tok over ledelsen av bandet da hans far gikk bort, samt startet en solokarriere som i dag har en katalog på fem studioalbum utgitt over en tiårsperiode. Blant disse finner vi de to siste “Up Close” og “Hope” som ble spilt inn med hans norgesbaserte backingband The Soul Rebels. “Hope” reflekterer Sheldons særlige fremtidstro på mennesket. Dypest sett speiler hans musikk den unike mangfoldige kulturen og musikalske arven som er utviklet i Trinidad & Tobago, som en del av den koloniale fortiden og med uttrykk som har utviklet seg fra urfolk og ankomsten av europeere, afrikanere, indere og kinesere, hver folkegruppe med sin egen kultur. I de siste fem årene har Sheldon vært bosatt i Oslo hvor han har satt opp en av byens mest dynamiske og spennende scene – Open Xpressions – som fungerer som en arena for utveksling av kunstneriske og karrieremessige erfaringer mellom artister, showcaser og performance med nye og etablerte artister. (E) SHELDON BLACKMAN never fails to make people dance, sing along and feel uplifted! Sheldon was born into the musical royal family of Trinidad & Tobago. His father, Ras Shorty I, created the national musical style of Soca and founded the family band The Love Circle. After his father passed on, Sheldon led the Love Circle as well as starting his own solo career. 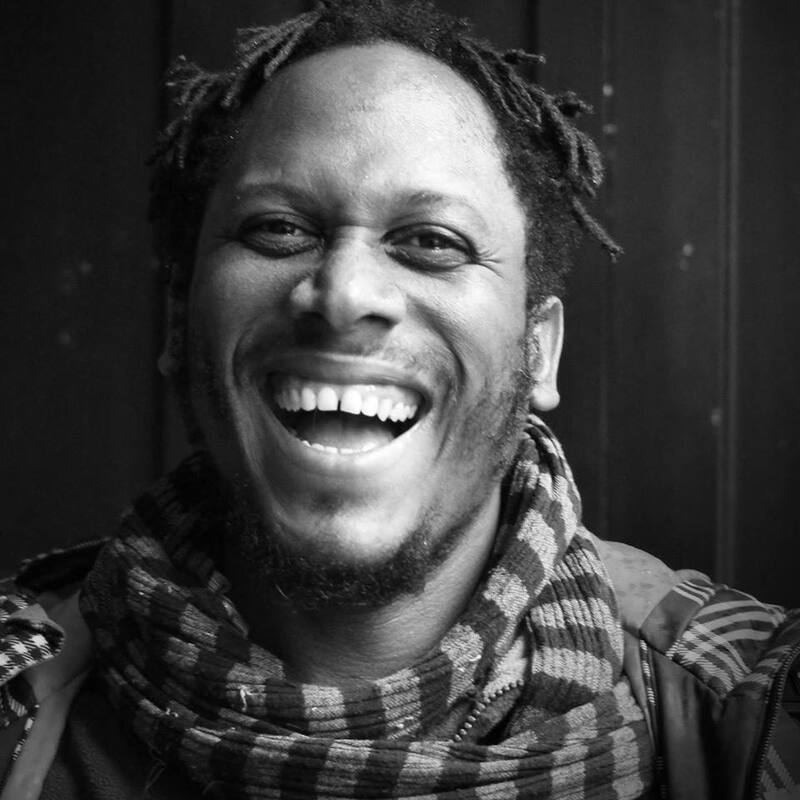 Over the last decade Sheldon has released five albums, the two most recent are “Up Close” an acoustic album, and “Hope”, which was made with his Oslo based backing band: The Soul Rebels. “Hope” reflects Sheldon’s very positive belief in the future of mankind, love and human nature. Reflected in the music is the unique diverse culture and musical heritage developed in Trinidad & Tobago as part of its colonial past. It has evolved from it’s indigenous peoples and the arrival of Europeans, Africans, Indians and Chinese, each with their own culture . For the last five years Sheldon has been a resident of Oslo, where he has set up one of the town’s most dynamic and exciting open stage project called “Open Xpressions”. The project includes information and discussion forums for aspiring artists, showcases for established artists and an open stage for artists of all kinds. Sheldon has also appeared in musical theatre productions in Oslo. Nordic Black Theatre’s “The Harder They Come”, based on the classic Jamaican film. “Legends” – a theatre tribute to Bob Marley and Peter Tosh, and a long running production of the musical “Hair” in Trondheim. In recent years, spending some months in Trinidad, Sheldon is making moves towards his Soca roots. Between 2013 and 2016 Sheldon released “Pumpin”, “Show Your Colours” and “Love Revolution”. His band and sound engineer spent two weeks with him in Trinidad recording and performing and are looking forward to record and release more Soca inspired material.